A little over a year after relocating from Spring Hill, Kansas, to Olathe, Kansas, Red Crow Brewing Co. is now open. Red Crow (1062 W. Santa Fe Drive) is initially serving three beers: Louise (an IPA), Isabelle (a Belgian blonde) and Donna (wheat). Chris and Mistie Roberts, along with Joe and Loretta Fisher (Mistie’s parents) opened Red Crow in 2015. When they outgrew their initial space, they looked for a new location and have spent the past year building out the brewery. In the coming weeks, Red Crow will add in growler fills and likely have more of its core lineup on tap. On the food side, food trucks will rotate through on the weekends and BB’s Grill is available for delivery. The brewery will be closed on Mondays, open from 11 a.m. to 10:30 p.m. Tuesday and Wednesday, 11 a.m. to 11 p.m. Thursday, Friday and Saturday and 11 a.m. to 8 p.m. Sunday. New Axiom Brewing Co. is not afraid to try something different. The Lee’s Summit brewery now has a flight board. It can fit 16 tasting glasses ($30) and is sold as a two-person adventure. You could start to fill it out with a pair of new Hefeweizens (a German-style wheat beer), one of which is made with blueberry and huckleberry. Apex Aleworks has two new Belgian Witbiers (4.8% alcohol by volume). Get yours with or without passionfruit at the Independence brewery, which has also started serving sandwiches. 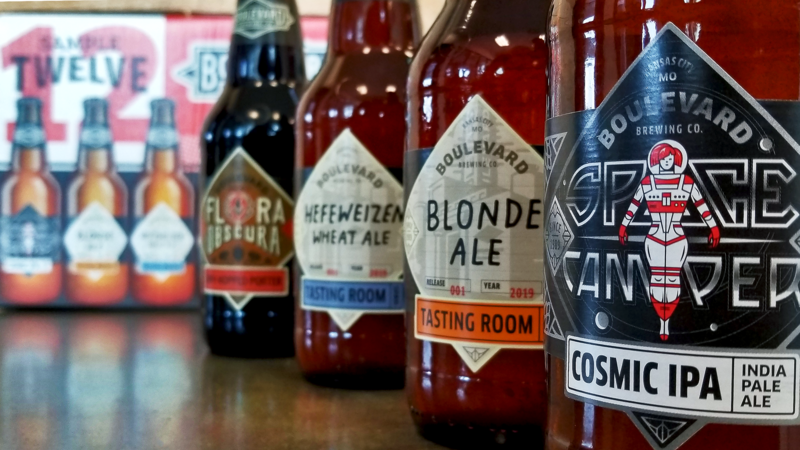 Boulevard Brewing Co.’s next sample 12-pack will be on shelves soon. It’s an even split of four beers: Flora Obscura, Space Camper IPA and a pair of tasting room beers, Hefeweizen and Blonde Ale. East Forty Brewing Co. has a new IPA. Cinq Fleurs Pink Brut is made with hibiscus, jasmine and the 2019 Pink Boots Blend of hops. Commercial breweries and home brewers will be bringing their latest creations to the third annual Spring Fling Beer Festival at iWerx (1520 Clay St., North Kansas City, Missouri) from 5 to 8 p.m. on Saturday, April 6. Tickets, which benefit the North Kansas City Rotary Club, are $30 in advance and $40 at the door. 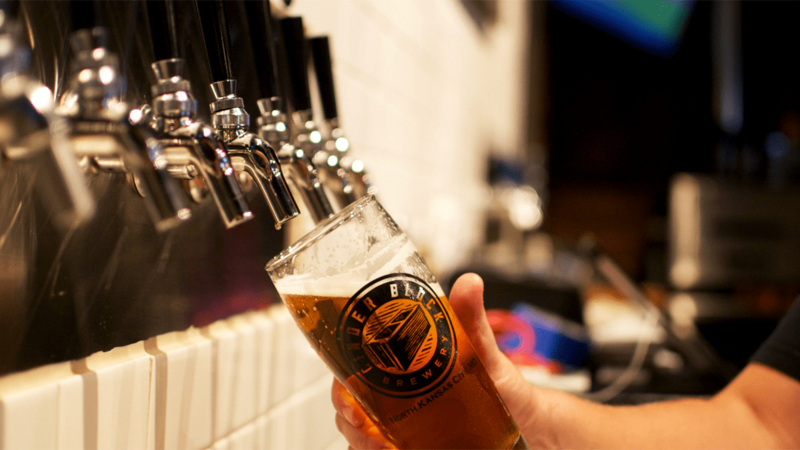 East Forty Brewing Co. is bringing Brew & Chew back to Blue Springs, Missouri. The beer festival from 2 to 10 p.m. on Saturday, May 4, will have more than a dozen area breweries participating. The festival is free. The beer tasting portion, which runs from 2 to 6 p.m., is $20. KC Bier Co. is going to throw Oktoberfest again. 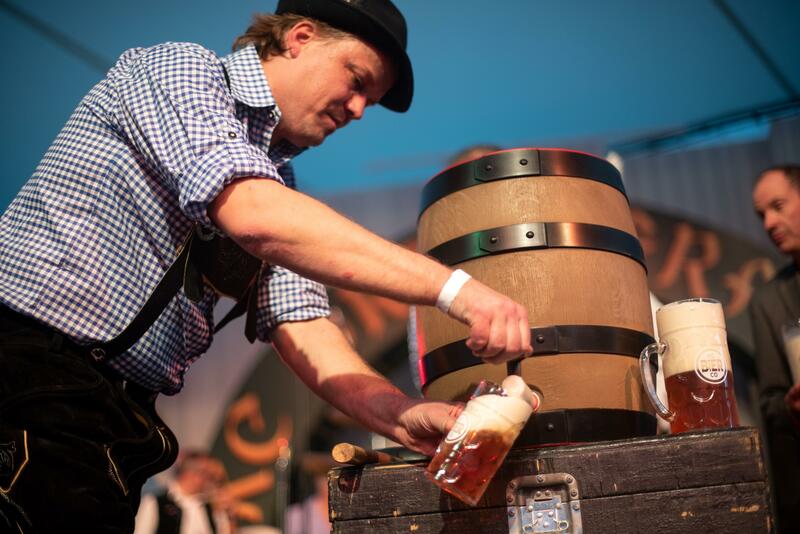 The two-day outdoor beer festival will again be at Crown Center on October 4 and 5. Callsign Brewing and KC Local Events are hosting a five-course beer dinner ($40) with chef Anita Moore. Fried green tomatoes are paired with a wheat beer, creme brûlée cheesecake with a berry truffle stout and braised oxtail with a whiskey and ginger ale cocktail. Veal medallions and saison, goat cheese croquette and an IPA and an arugula salad with a Belgian-style abbey ale are some of the pairings for the four-course beer dinner ($50) at the Pressed Penny Tavern featuring Martin City Brewing Co. It’s from 7 to 9:30 p.m.
Go deep into Boulevard’s catalogue with The Belfry. The Crossroads bar and coffee spot will be holding a vertical tasting, comparing Rye on Rye, Saison Brett, and Bourbon Barrel Quad from 2013, 2014 and 2015, between 6 and 9 p.m. 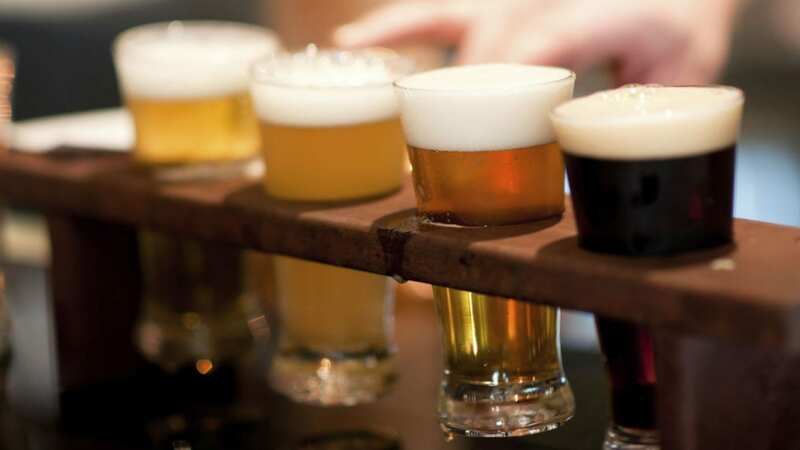 The Boulevard Tours & Rec Center is celebrating Women’s History Month with Beer History in Four Glasses from 6 to 7 p.m. Get a flight of four beers ($15) and learn about the historical contributions of women in the beer industry. Smokin’ Guns BBQ will feature New Belgium Brewing Co. at a four-course beer dinner at 6:30 p.m. A smoked brisket burger will be paired with 1554 Black Lager and a vanilla IPA cupcake is going to be served with Brut IPA. Tickets are $30 for a single diner or $50 for a pair. The golden baby is at stake at Cinder Block Brewery from 6 to 8 p.m. Diaper Madness, a benefit for Happy Bottoms (a non-profit that provides diapers to families in need), will feature brewers competing to wrap diapers for a golden baby trophy. Baseball is here. Whether you’re hopeful or concerned about the Kansas City Royals’ prospects, you can get happy hour pricing during this weekend’s baseball games at Bier Station. The Waldo beer bar will also have Boss Tom’s, which is back in a limited re-release. You could just stick with plain old syrup with your pancakes or you could breakfast like an adult. Grinders Stonewall hosts a Founders KBS Pancake Breakfast that starts at 11 a.m. The Lenexa restaurant will be serving chocolate banana pancakes alongside Kentucky Breakfast Stout. Need a ‘whole lotta love’? Don’t we all? Stockyards Brewing Co. hosts Counter-Culture, which will be playing tribute to Led Zepellin from 3 to 6 p.m. in the West Bottoms. County Clare Irish Red should be on tap.